The latest topic of discussion among my friends and neighbors is where to buy fresh fish in Samara. Throughout the high season, we count on “Jonny Pescado” who parks his truck and coolers across the street from the largest grocery store in town, the Palí. He’s got a wide variety of local fresh catch, as well as stuff brought into Punta Arenas. But now that the part-time residents have gone back to Canada, the US, and Europe, things are pretty quiet around here and Jonny, apparently, finds it not worth his time to station himself on the street. So I have to go direct. 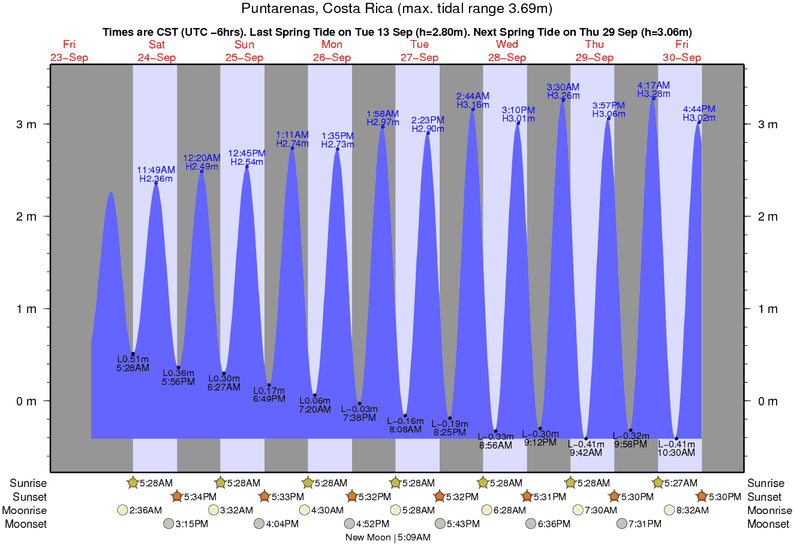 I start at the fishing harbors or “Pescaderias”, which are at the southeast end of each of our beaches, Samara and Carrillo. 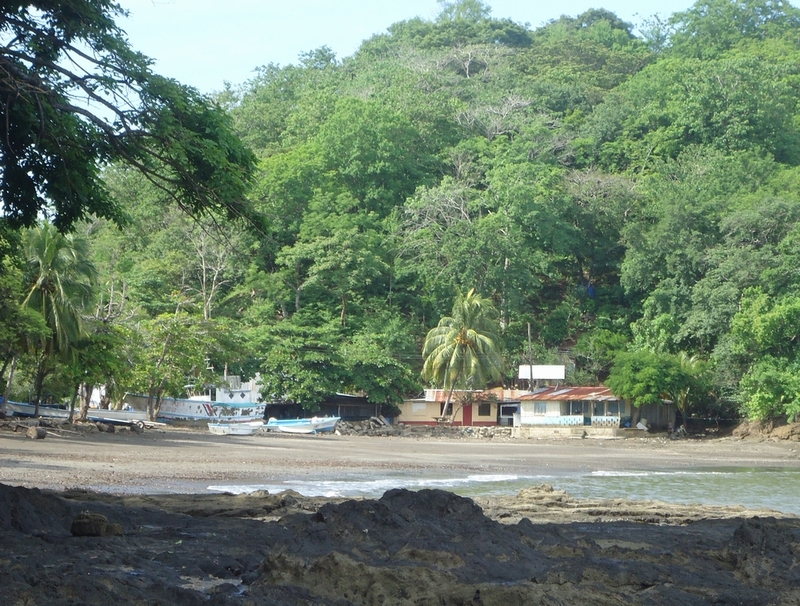 In each bay, the fishing boats moor close to shore and are protected by Isla Chora in the case of Samara and Punta Carrillo at the end of that beach. 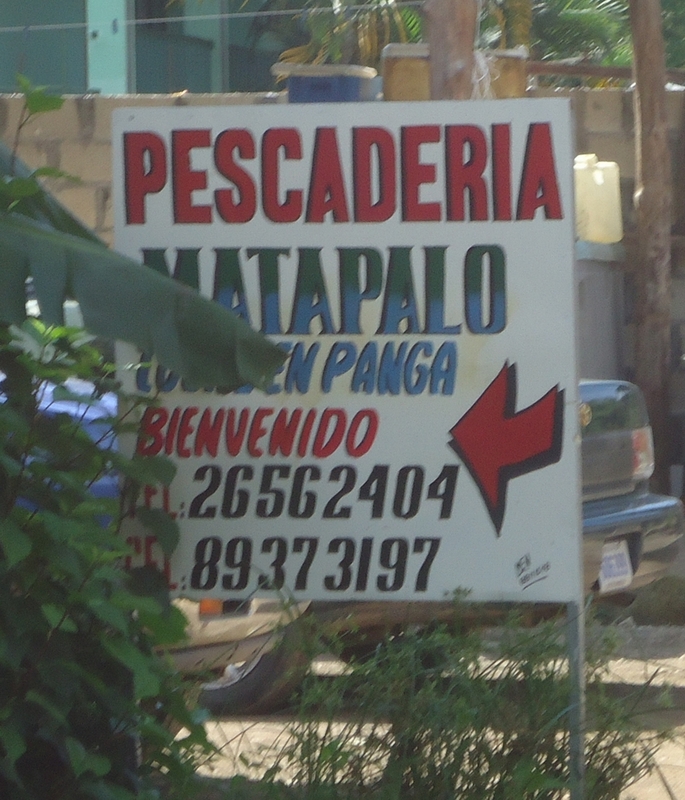 But both Pescaderias are also looking pretty quiet now, so I’m heading back to Matapalo, the village at the foot of the hill below Casa Mango and Casa Papaya. A lot of fishermen live in this village – you’ll see them heading out in their Pangas from the shore. You can go with them for a modest fee. They sell their fish direct from the beach but only in the afternoon, but how do I know when the boat will be coming in? So my best bet is the Pescaderia Matapalo, one street back from and parallel to the beach. There I can buy today’s catch late in the afternoon or yesterday’s catch in the morning, which is when I prefer to do my shopping. Yesterday, the shrimpers were anchored in the bay, so I’m hoping to find some “medianos” or “grandes”, as well. I don’t buy “jumbos” because they’re often farm-raised, in spite of what the salesman may tell you, and I don’t eat farm-raised fish. I’m still confused about what fish is environmentally sustainable but I know that farm-raised fish tastes like dirt. And I can’t see the point. 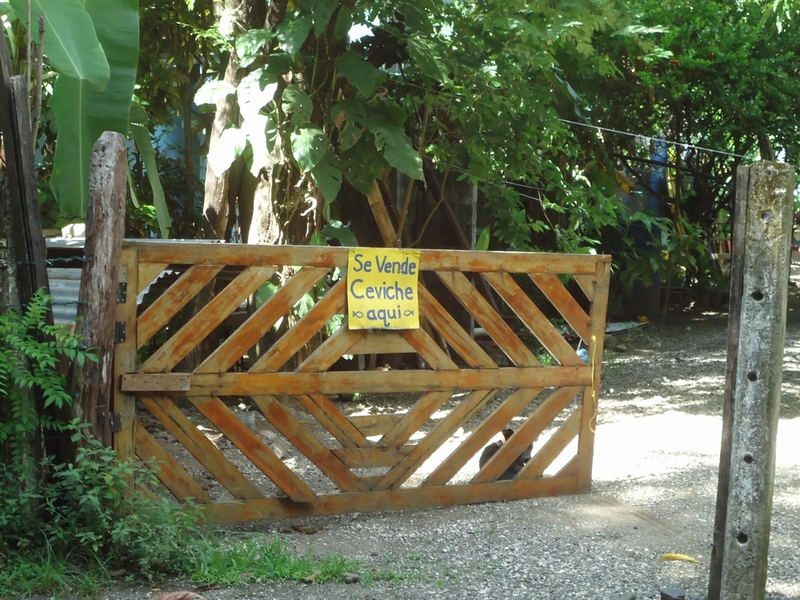 I’ll probably stop for fresh ceviche while I’m down in the village. It makes a great light lunch with a salad and crackers. Luckily Johnny Pescado lives right around the corner from me in San Fernando! So, does Jonny have fish? Where can I buy some?